Essays. The Ladder of Love. – "The Ladder of Love," Plato's Symposium, trans. Seth Benardete, University of Chicago Press, 2001. First published in Love and Friendship, Simon and Schuster, 1993. 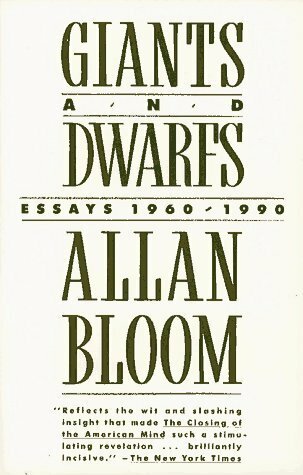 Giants and Dwarfs: Essays, 1960-1990 [Allan David Bloom] on Amazon.com. *FREE* shipping on qualifying offers. A volume of wide-ranging essays deals with contemporary politics, modern thinkers, and today's universities.